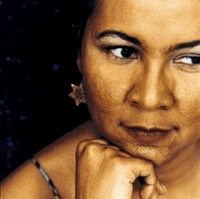 Prior to publishing more than 20 books and becoming one of the most well-known black feminists, bell hooks was a poet. In 1978, she published a volume And There We Wept: Poems. That was a few years before her first major book Ain't I a Woman: Black Women and Feminism (1981). During the 1980s onward, hooks was widely known as an author of black feminist essays, and she was a popular and respected commentator on topics concerning sexism and racism. She was frequently invited as a featured speaker on college campuses and at major conferences and symposiums. In the many writings about hooks and her works or in the testimonies about how "she changed my life," rarely is it noted that hooks had an early life as a poet. For the most part, people probably did not know about her poems, which are far less available than her books and essays. At the moment, what interests me more than the actual poems is the idea that the young woman who would eventually emerge as a major black feminist chose to express herself early on in verse rather than essays. In what ways, if any, did she work out black feminist thinking in her poems that helped her essays? What led her to publish books and essays, I wonder, as opposed to volumes of poetry?